Fifty Shades of Grey Wine Red Satin will be available for sale in over 400 Société des alcools du Québec (SAQ) liquor stores beginning January 22, 2015. 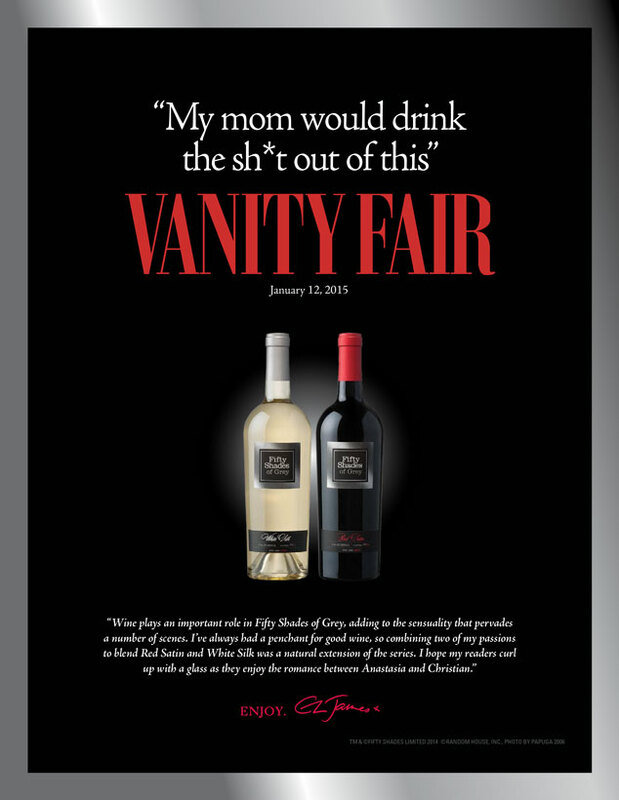 The retail launch follows an enormously successful online pre-sale on January 10, 2015 which sold over 400 cases Fifty Shades of Grey Wine Red Satin, a decadent red blend of Petite Sirah and Syrah with flavors of black cherry, cocoa powder, creamy caramel and vanilla, leather and clove spice. What will be in your glass? "Wink, wink. Nudge, nudge," Argus Leader wine reviewer, Heather Boysen, is "pleasantly surprised by" Fifty Shades of Grey Wine. "With a little research I found that author E.L. James is not only a wine aficionado but also participated in the blending of the wines herself with Tim Thornhill owner of the Mendocino Wine Company and winemaker Mark Beaman, " Boysen says, continuing, ".... One might ask if she considers wine her guilty pleasure much like many of her readers consider her books?" Boysen describes the Fifty Shades of Grey White Silk as, "an easy drinking medium sweet white that would be great with Asian or spicy food but is just fine on its own," and the Fifty Shades of Grey Red Satin as a wine with "a lot going on." 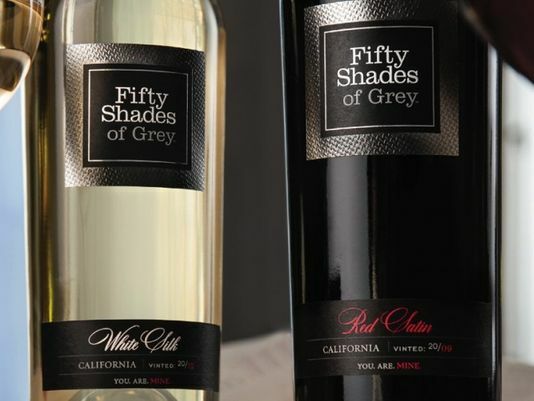 If you are one of the few who haven't read the Fifty Shades of Grey books yet, Boysen recommends pairing Fifty Shades of Grey Wine with your experience of the best-selling series, "I believe [Fifty Shades of Grey Wines] were crafted with longevity." 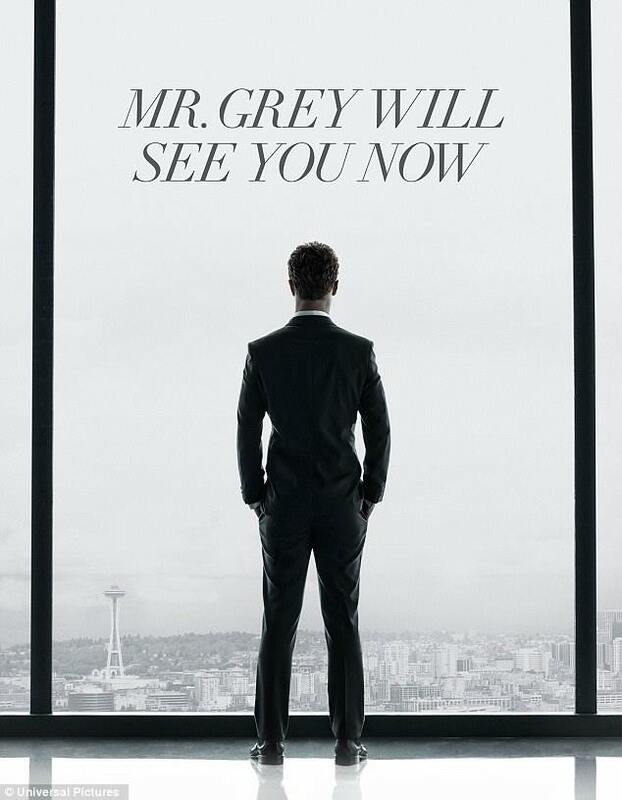 Huge congratulations to Maxine Horrocks for winning first prize in the Fifty Shades of Grey Wine Sweepstakes! Enjoy Seattle and the activity-packed Valentine's weekend, Maxine. "My mom would drink the sh*t out of this"